As the world is accelerating to keep up with the on-going digital transformation, it is becoming very difficult to filter through all the information and find something of relevance. As an independent software testing organization, Cigniti aims to have our readers be well-informed and more aware. Software testing plays a crucial role in today’s digital world but its importance and involvement seems invisible, as long as things are going right. Did you know that #contentmarketing leaders experience 7.8 times more site traffic than non-leaders? A passenger on-board an airplane is blissfully unaware of the amount of effort that went into ensuring that his journey remains safe and hassle-free. The moment signs of danger come into picture, everyone is suddenly aware of the lack of quality. As long as most processes were manual or required limited technological intervention, quality assurance kept taking the hit for the most part. Well, no more. This is the message we try to convey through our content. That quality in technology across industries directly impacts the quality of our lifestyle in today’s digitized world. Shift-left testing essentially states that the process of testing takes place earlier in the software lifecycle, thereby making it easier to envisage obstacles and be able to fix glitches quickly. This helps assure quality right from the start. Taking inspiration from the concept of Shift-Left, we’ve decided to quickly recapitulate some of our readers’ favorite blogs this year. “7 Upcoming Testing, QE & Quality Assurance Events You Should Visit in 2016”: Whether you’re a developer, tester, marketer or the CEO of your organization, in order to truly appreciate the concept of software testing, you should first know where to go. Our list of software testing events spread across the globe did just that. Refer this blog to know which events generated all the buzz last year! There was something there for everyone, whether you’re looking to build some contacts or are serious about enhancing your knowledge about Quality Engineering!We are coming up with a comprehensive list of events for the next year as well, so stay tuned and watch our space for more updates! “Is your API Strategy in Place for Digital Banking Transformation?”: We have all eagerly awaited banks, more than any other services, to leverage technology and make our lives simpler. Is it really that simple though? In this blog, Praveen Kumar, Director, Global Delivery – Cigniti Inc., talks about how organizations are using Application Programming Interface (API) strategies in order to share their backend data in order to further facilitate better services for their clients. APIs maximize profits by driving down costs; the customer base grows as buyers’ surplus increases as a result of lower costs (of the corporation’s products and services being offered). Read more to find out how they work! “The 5 Myths of Security Testing You Should Stop Believing”: While we’re on the topic of finances, let us address the issue synonymous to finance: security. Security issues have us all clutching our chests, whether we are customers or service providers. It is of no surprise that, though crucial, internet and mobile banking services took their time in becoming popular amidst users. There was a time where customers were not sure of what data was private and what was not. The truth is, the world is still evolving and there are still those that have misconceptions related to security testing. Take a look at this post, to see some of the most ridiculous software security testing myths busted! “BlueSwan: What You Need to Know about Cigniti’s Next-Gen Proprietary Testing Platform!”: One of our proudest moments as an independent software testing organization this year was the launching of our IP proprietary, BlueSwan! In this post, Sairam Vedam, VP-Global Head of Marketing at Cigniti Technologies, explains the concept behind the years of research that has become the brainchild of our organization. 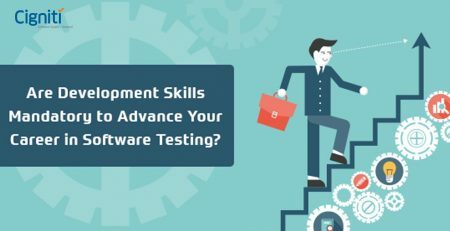 The sheer depth to testing services, and how they cater to software technological advancement across industries, has been clearly stated in this post. Read on to find out more! “ERP Testing: Gain Competitive Advantage For Your Business!”: ERP is the software that makes the whole IT world go round. When the focus is on running a business as a single unit, it would make immense sense why testing of such software is crucial for the business to stay running! This detailed blog explains exactly how businesses can invest in ERP testing in order to gain competitive advantage and stay one step ahead in the market. Read more to find out how that can be achieved! “105 Types of Software Testing Every Tester Should Know”: This comprehensive list has been constructed in order to give a rough overview of the various types of software testing, and those responsible for seeing it through. Contrary to common conception, it is not testers alone that carry out the end-to-end testing process for quality assurance. Software testing is of different types, and they are all performed in order to achieve different objectives when testing a software application. It is a general misconception that software testing is usually only performed by specialized testing teams. While this holds true for almost all cases of testing, there are still significant types of testing that end-users, developers, and specially configured systems in certain organizations would need to perform. 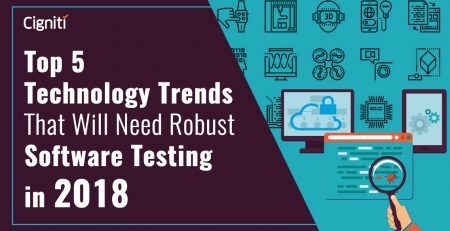 The well-known list of 105 types of testing has been categorically split according to the teams in charge of conducting those types of software testing. Go through the list to find out more! Cigniti Technologies has come a long way in the past couple of years. From partnering with tool-specific vendors to researching and building our own IP proprietary, we take quality assurance very seriously. Our organizations consist of experts that can help boost your organization by greatly enhancing your software. To know more about us and get in touch with our experts, please visit our website. 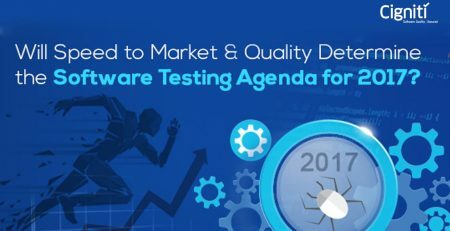 Will Speed to Market and Quality Determine the Software Testing Agenda for 2017?